As a fan of Nancy Drew, I always thought that if I were to write a Jewish version, I had a title already: The Case of the Hidden Chametz. And as a parent of 2 small children, I feel like it is a story that I live each and every Passover season. There is always the possibility of finding food in unexpected places, even as I try to instill rules and habits around eating and cleaning. In fact, nothing fills me with more dread than the thought of trying to clean my car for Passover. And, unlike the kitchen, it seems one cannot simply take a blowtorch to one’s car…so, crumb-hunting I will be. The Wise Guys group sent 25 stalwart skiers to the snow-covered slopes of Mammoth Mountain for a weekend well spent with Rabbi Yoshi Zweiback and Rabbi Ron Stern. Schussing epic conditions, gathering for great meals, celebrating Shabbat with some learning and mountainside worship, a great time was had by all! In between runs the guys enjoyed poker, backgammon, swimming, and good conversation. Thought-provoking. Substantive. Entertaining. Spirited. If you missed some of our amazing evenings sponsored by Center for Jewish Life, you’re in luck: our streamed events are now available to watch online. 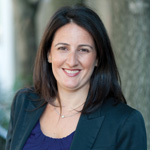 Visit our web site to watch Rabbi Yoshi Zweiback’s interview with author Rachel Kadish (The Weight of Ink); hear an insightful, provocative analysis of world affairs from renowned philosopher and scholar Bernard Henri-Lévy; and witness an exchange of ideas between Rabbi Joseph Telushkin and Rabbi David Woznica. Joan Rosenberg, PhD, will highlight how to build confidence, emotional strength, and resilience as she discusses key ideas in her recently released book, 90 Seconds to a Life You Love. 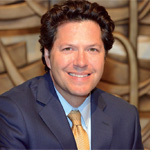 In his presentation on “The New American Jew,” Dr. Steven Windmueller will be examining the new behaviors and trends that are contributing to the dramatic changes impacting the 21st century Jewish community. Film: The Butterfly, an endearing story about how a cranky butterfly collector’s perspective changes when he meets eight-year-old Elsa. Scheduling notice: on Friday, April 19, Shabbat Servics will be held at 5 p.m.
Passover is just about two weeks away! If you’re looking for a new Haggadah for your festivities, the Wise Gift Shop can help. Short Seders, colorful Seders, family-friendly Seders: inspire new meaning in your holiday with our wide array of options. This week all seder plates are 25% off. Furthermore, in recent days our shop has seen a drastic increase in its local frog population! Hop on by and pick up a few for your table. Cant make it during our regular hours? Contact Gila at 310.889.2210. During the Passover season, help us remember the struggle of our ancestors by providing aid to those in need today. Fill your brown SOVA bag (coming home with students during the first week of April) with non-perishable food items and drop them off in various locations on campus including the parking garage (by our lost and found station) and the SOVA bin in the Sanctuary lobby. Helpful tip: in preparation for Passover, include your unopened chametz for SOVA! Visit our SOVA market during Early Childhood drop-off (near Katz Family Pavilion) and at Wise School pick-up. Proceeds from the market will provide struggling families with the food they need to participate in Passover. With SOVA’s leveraged buying power, your donation of $5, $10, or $25 will help stretch all funds to provide the maximum benefit to those in need. Join together as one community to celebrate the Jewish festival of freedom. We are preparing a spectacular Seder that will include an uplifting celebration of learning, joyful music, memorable experiences for children and adults, as well as a special Kosher-for-Passover dinner. Together we’ll create wonderful memories with family and friends. Each year on Mitzvah Day we commit to an entire year of changing the world. This year, we’re doing things a little differently. Mitzvah Day has become Mitzvah MAY! Celebrate the culmination of all the ways in which our Wise community has participated in acts of loving kindness and sought to make a difference in our local and broader communities. Join us on Sunday, May 5 at Wise for a wide variety of projects to participate in–there is something for everyone! Gather together with our community for a festive service! 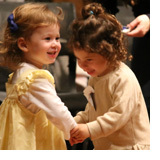 Our Clergy and song leaders lead our music- and story-filled service that introduces the youngest members of our community to the joy of Shabbat. Parents and grandparents will love it too! Special for parents with newborns, we’ll have a baby playdate for an hour leading up to Tot Shabbat. Mondays: April 8 – July 1 | 7 p.m. This class, taught in English, focuses on Siddur and Biblical Hebrew with an emphasis on reading and comprehension. Students will improve their reading and pronunciation and will learn to read and understand basic classical Hebrew, such as prayers. Cost is $315. Wednesdays: April 10, 17, 24 | 7-8:15 p.m. This class will be exclusively held online. 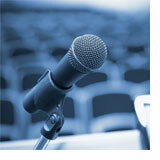 Login information will be provided to registrants. Kabbalah is associated with a range of Jewish mysticism. Interestingly, the word “kabbalah” means “that which is received.” In our study we will open ourselves to a higher level of consciousness so that we can look at the world differently—to see God where we may not have seen God before. Ultimately, we study Kabbalah to make ourselves better: kinder, deeper, more aware of our soul. We take this path not only to elevate our thoughts but also in the hope that kabbalah will impact our daily behavior. Join this mystical yet surprisingly practical journey toward an elevated and kinder life. 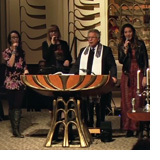 Soulful Shabbat is a one-of-a-kind musical service, one of Wise’s most popular traditions. Join our clergy and our Soulful Shabbat musicians and singers for a spiritual evening featuring the rhythms and melodies our members have come to love. 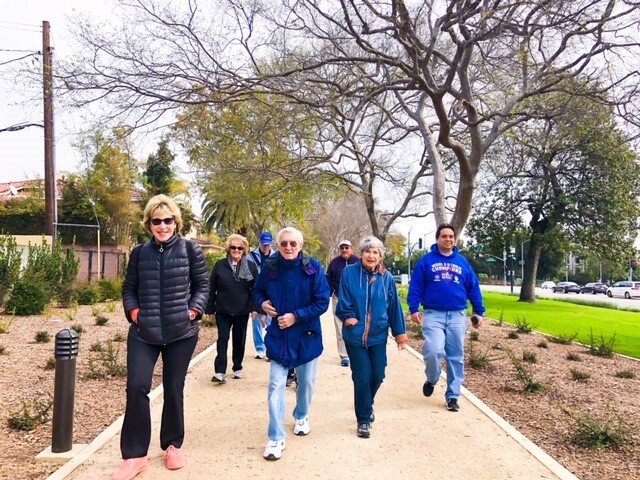 Sunday, April 14 | 10 a.m.
Join our intrepid Wise Walking Group as they visit different picturesque and pedestrian-friendly neighborhoods all over Los Angeles! The group meets monthly on Sunday mornings for exercise, conversation, and community while enjoying Southern California’s natural beauty and historic areas. This month, the group will journey to Chatsworth Park South (1.4 miles in a circular direction) followed by lunch at The Country Deli. Newcomers welcome! Email Shirley Sniderman to RSVP and learn more. Spring Break Sports Camp 2019! Can’t wait for summer? Looking for a great way to spend Spring Break? Are your kids currently in Kindergarten through Grade 6? 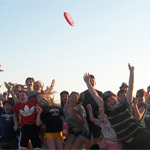 We are proud to announce our first Spring Break Sports Camp at Camp Wise LA! Run by our Camp Wise Team, this program will get your kids on their feet in a setting and with friends and counselors that they already know and love! Though this program is more focused on sports, “campers” will still get a chance to revisit some of their favorite Camp Wise traditions, such as Maccabi Day and morning circle, and have options to do other activities such as Arts & Crafts, Dancing, and more! Email campwise@wisela.org or visit campwisela.org/spring-sports-camp-2019 for more information. Sunday, April 28 | 4:30-6:30 p.m.
Join Wise Readers to Leaders for our Annual Celebration. A night filled with an exciting silent auction, a wine and cheese reception, a screening of our documentary, and a presentation of our JLL Awards. Wednesday, May 1 | 1-5 p.m. Wise members and guests are invited to join other Wise Women for our monthly open play day: Mah Jongg, Canasta, Bridge or any other game you’d like! Groups or single players and all levels (beginners to experts) are welcome and encouraged! 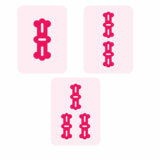 If you have a Mah Jongg set, please bring it along. Snacks and light refreshments will be served. This is a free event, we kindly ask for your RSVP. Join us on May 4th for a “Torah Trek” in the Santa Monica Mountains, Topanga State Park. We’ll do some hiking and stop at our usual place for a little wisdom from Jewish tradition. We’ll meet at 9:00 a.m in the parking lot at the main entrance to Topanga State Park at Tripet Ranch off Entrada Road. The hike will take about two hours. There’s a parking fee, payable by credit card. Tuesday, May 21 | 7 p.m. This program, part of the nationwide “Across the Divide” series, is designed to showcase a constructive dialogue about Israel across the generational, political, and denominational divides within the American Jewish community. The panel, moderated by Rob Eshman (former Editor in Chief, the Jewish Journal), will feature Batya Ungar-Sargon (Opinion editor, Forward), Yair Rosenberg (Senior Writer, Tablet Magazine), and Tabby Rafael (Co-Founder, 30 Years After). Rabbi Yoshi Zweiback will offer additional remarks. 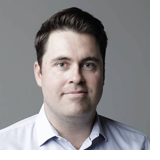 Friday, May 24 | 7:30 p.m.
Join Tommy Newman, Director of Public Affairs for the United Way’s “Everyone In” campaign for a Shabbat dinner to discuss the United Way’s role as the coordinator of L.A.’s comprehensive response to homelessness. These initiatives include prevention strategies, support for subsidized housing, construction of affordable housing, bridge and permanent supportive housing, and management of services for the homeless. This is the most important step that moves L.A. towards a coordinated and comprehensive approach to dealing with housing for the homeless in the community. Thursday, May 30 | 7:30 p.m.
Join Rabbi Josh Knobel for this pivotal entry in a series of conversations designed for modern Jews. “Man Up” will explore how Jewish men can turn the tide against a culture of sexual harassment and assault that has left far too many women in our world at risk of abuse and exploitation. Discover how to acknowledge and combat misogyny without compromising your manhood, how to be woke without mansplaining, and how to raise empowered, feminist, Jewish men for the 21st century. People of all genders are invited to enrich this meaningful conversation. Thursday, June 20 | 8-10 p.m. 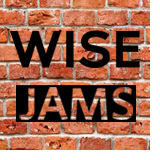 Please join us for a night of music at Wise Jams with Rabbi Yoshi, David Kates, and fellow musicians from the Wise community. Are you an ace on the bass? Get your kicks on the sticks? Bring your axe, your sax, your vox, and your chops. We’ll supply the mics, amps, sheet music, and a rockin’ good time! In preparation for Passover, enjoy wine and an elaborate Syrian dinner infused with the symbols of the holiday and prepared by a family who recently resettled in LA with the support from Miry’s List. Rabbi Sarah Bassin (Temple Emanuel of Beverly Hills) will begin the meal by connecting the Jewish value of welcoming the stranger to both the holiday’s story and the experience of refugees today. Then hear the family’s arrival stories in a discussion moderated by Evan Kleiman (KCRW’s Good Food). Do you have a milestone birthday or anniversary approaching? We’d like to celebrate your special day on the bima during Friday evening Shabbat Services! Invite your family, join your Wise community, make it a “shehechianu moment” – a time to give thanks for life, health, and the blessings that enable you to reach this great moment in your life. Let us know by emailing Arlene Spiegelman or calling 310.889.2272 and she’ll make sure to schedule a date that works for you. We’d love to share your celebration! We reach out as a community and offer our support and deepest sympathy to those among us who are mourning the loss of a loved one. We honor our loved ones, our family simchas, and our communal losses through charitable giving. To give in honor or in memory of a cherished family member or dear friend, please visit WiseLA.org/Giving. Have a great idea? Share it with us by submitting it to our online suggestion box. Do you want to reach us? Are you having a lifecycle event? Or would you like to be added to this email list? Would you like to get involved? Check out upcoming Temple and School events.